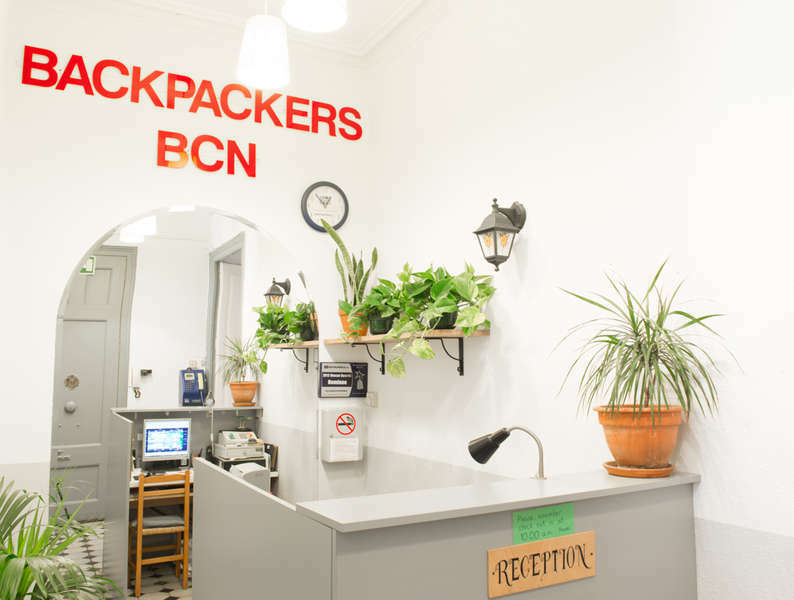 Soul Backpackers Barcelona, The centric Hostel. If you like small Hostels where you can feel like home and meet new people easily, this is your place. 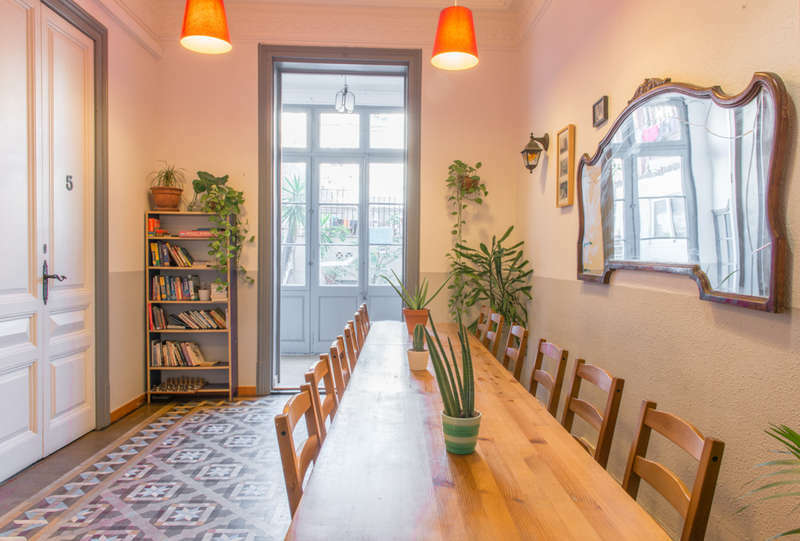 This cozy and charming hostel is located in a beautiful historic building of l’Eixample in the heart of Barcelona’s modern city. It is only a 10 minute walk to the city centre (Plaça Catalunya and Las Rambles), a 5 minute walk to the Old City, and only one block to the closest metro station (Girona Metro). So, main attractions like Sagrada Família, Casa Batlló, Citadel Park and the districts of Gràcia, Sant Antoni and the Barceloneta are all readily accessible. The small and cozy 26-bed hostel is located on the main floor of a Modernist building of the Catalan bourgeoisie. This apartment-style space features its original high ceilings and colour tiled floors, making the hostel a unique place to stay. Although a 19th century building, the hostel has all the comforts and conveniences of the 21st century - wireless internet, a computer, air conditioning, central heating, elevator, clean communal kitchen, and laundry services - the perfect fusion between Modernism and the modern world. In addition, our large exterior terrace is the perfect place to relax after a long day of visiting the city and to keep cool on hot summer days. 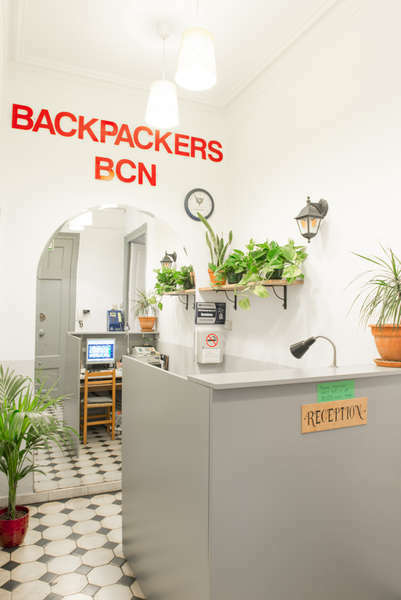 Soul Backpackers Barcelona is at Carrer de la Diputació, 323. The nearest metro station is "Girona" which is a 2-minute walk away (200 m). From EL PRAT AIRPORT (BCN's main airport): Take the Aerobus and to its last stop at Plaça Catalunya. The hostel is about 12 minutes walking from Plaça Catalunya (950 m). Walk northeast on Plaça Catalunya towards Passeig de Gràcia, and turn left on Passeig de Gràcia. Turn right onto Carrer de la Diputació and you will find us on your left at #323. If you prefer not want to walk, you can take the yellow subway line (L4) from Passeig de Gràcia towards Trinitat Nova, and get off at Girona (1 stop). From there, walk southeast on Carrer de Girona and turn right at the next street, Carrer de la Diputació. You will find us on your right at #323. If you decide to take a taxi from the airport to the hostel, it will cost about 30 €. From GIRONA-COSTA BRAVA AIRPORT (GRO): Take the Barcelona Bus, a direct bus from Girona airport to Barcelona Estació del Nord bus station. It takes about 1 hour and 15 minutes and costs 12 € one-way, 21 € return. Note that Barcelona Bus runs two routes - one to Girona city centre and one to Barcelona, so be sure to get on the right one. Carrer d'Ali Bei toward Carrer de Ribes. Turn right onto Carrer de Napols. Turn left onto Carrer de la Diputacio. You will find the hostel on your right at #323. There's no curfew. We have a 72hr cancellation policy. Cancellations must be made by email. Late cancellations and no-shows shall incur a charge equivalent to the first night's accommodation. We only accept guests over 18.